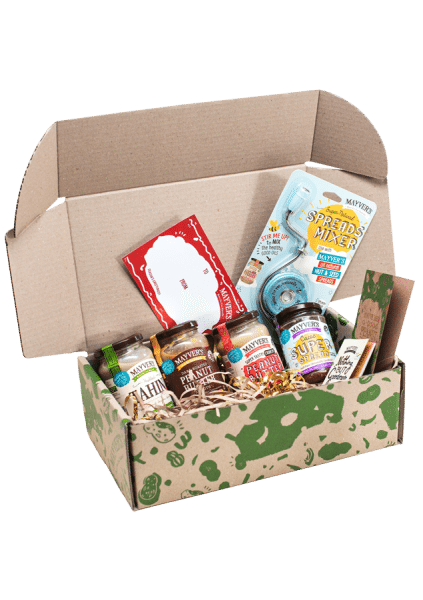 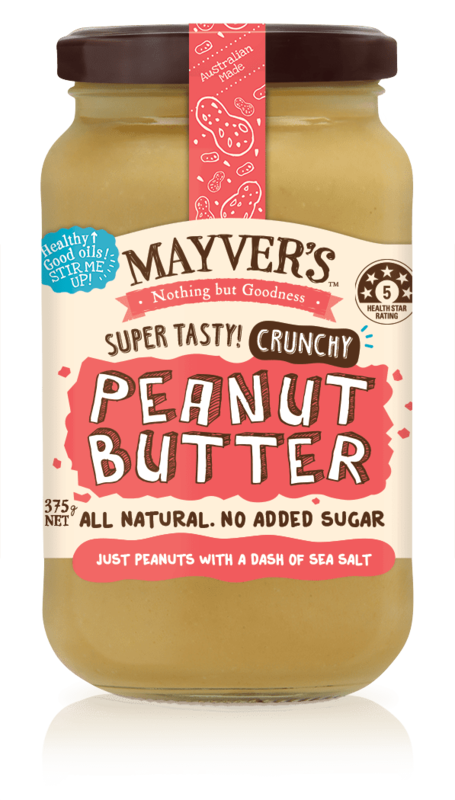 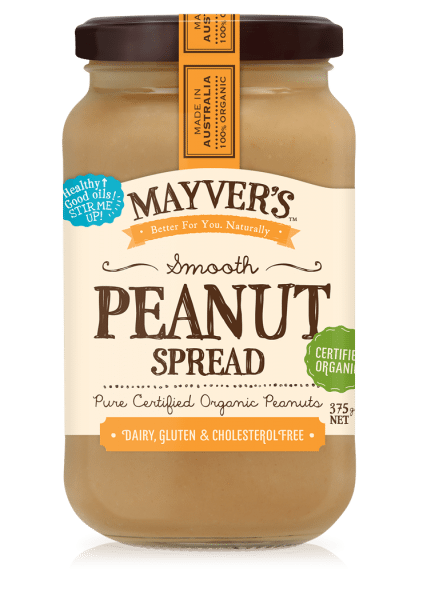 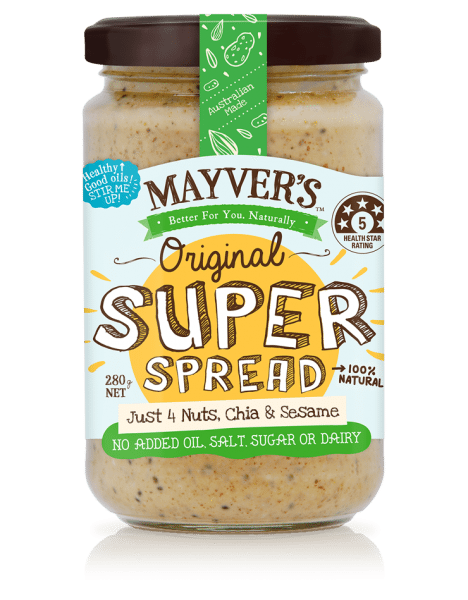 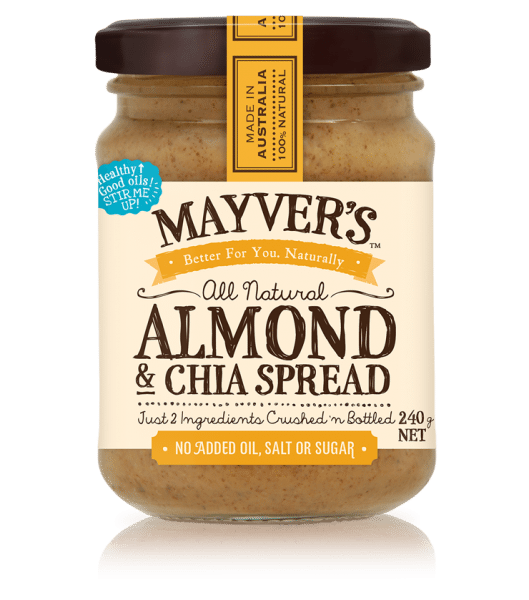 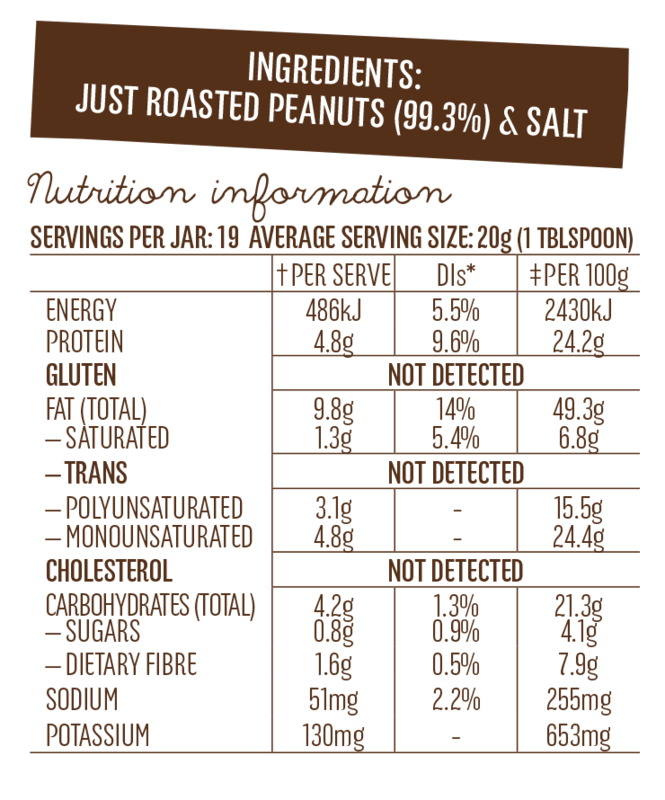 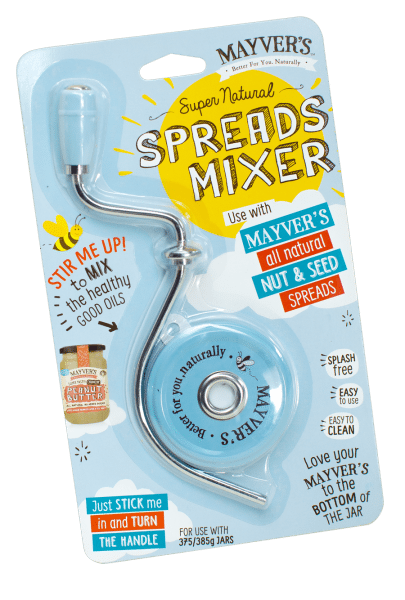 Mayver’s world-famous Natural Crunchy Peanut Butter is made in Australia from nothing but roasted peanuts and a pinch of sea salt. 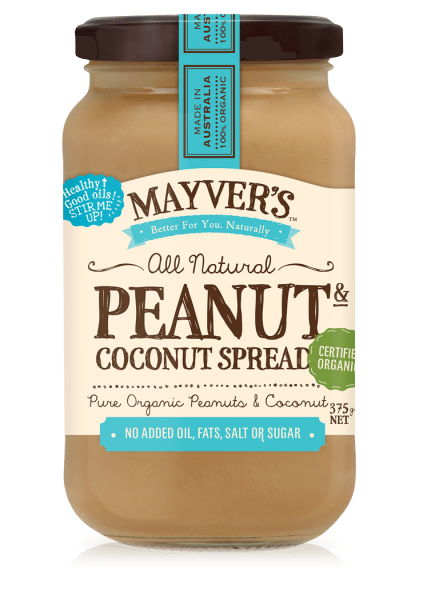 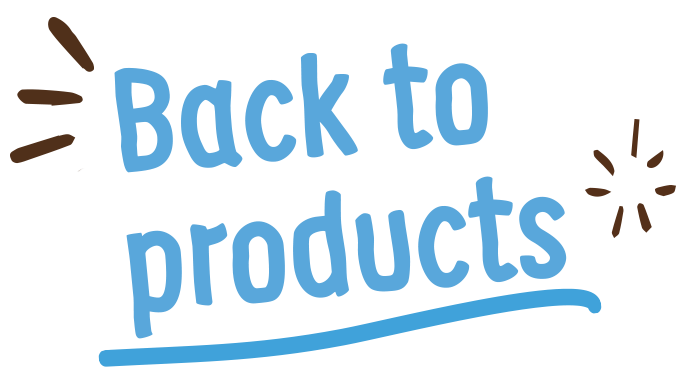 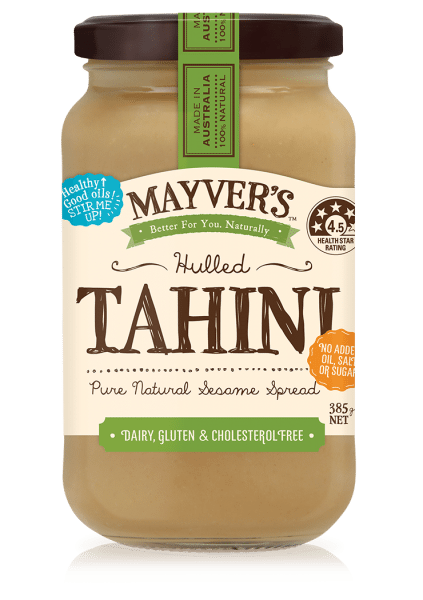 Like all our other natural Peanut Butters, it contains absolutely no added oil, sugar, gluten, dairy, cholesterol or hardened fats. 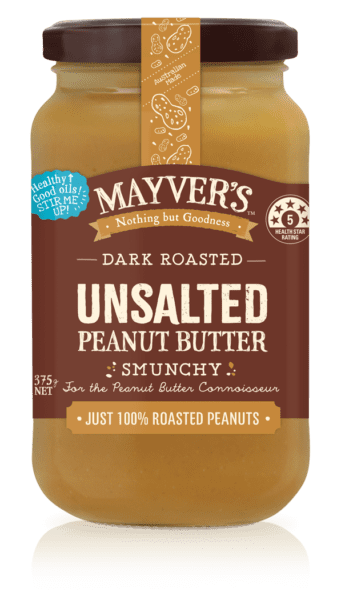 The peanuts are carefully selected then lightly roasted, mixed with the finest sea salt and ground to perfection giving it a naturally sweet tasting, crunchy texture with a tiny zing!